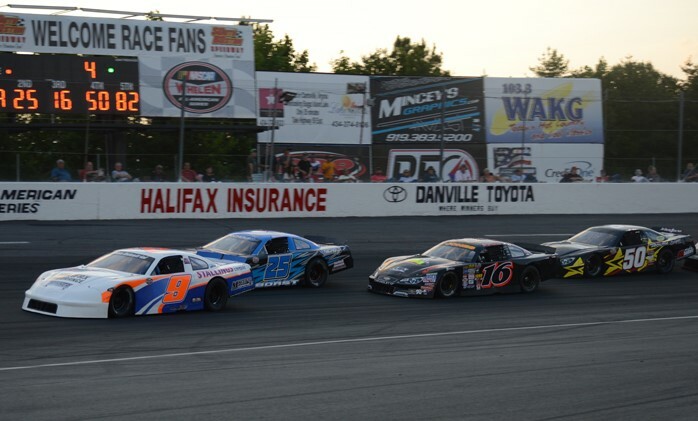 South Boston Speedway is adding four new engine combinations in the Limited Sportsman Division in 2019, an effort to give competitors more affordable options as the engines used for a decade have become outdated. · Option 1: The GM crate 602 which is almost identical to the current 603 in terms of horsepower and torque. The 602 will run a 390 CFM Holley carburetor and a 1″ open hole spacer and start at a weight of 3,100 pounds total and 1,400 pounds right-side weight. · Option 2: The Ford crate 347 JR. The 347 JR and the 603 make almost identical numbers on the dyno. The 347 JR will start the season with a 390 CFM Holley carburetor with no spacer, weighing 3,100 pounds total with 1,400 pounds right-side weight. · Option 3: The steel-head engines being phased out of the Late Model Stock Car division. To bring the power closer to the GM 603, a 350 CFM Holley carburetor is required with a starting weight of 3,100 pounds total and 1,400 pounds right-side weight. · Option 4: The GM 604 with a 450 CFM Holley carburetor. The GM 604 will remain on the stock 1.5 ration rocker arms and weigh 3,100 pounds total and 1,420 pounds right-side weight. · Option 5: The current GM 603 crate engine that teams have been running for a decade. A 1-inch open-hole space will be added to keep current teams from feeling forced to buy a new engine to be competitive during the transition period to the new engine packages.